Leak tight from regulator to purge system. 12 mm to 12 mm quick connect fitting as standard. Stocked in standard lengths, 30 m, 25 m, 20 m, 15 m, 10 m and 5 m.
Special lengths made to order with our new high-pressure end fitting tooling. Can also be used for transporting nitrogen gas. Temperature range –30º up to 80ºC. Safety factor of three times working pressure, 20 bar (300 psi). 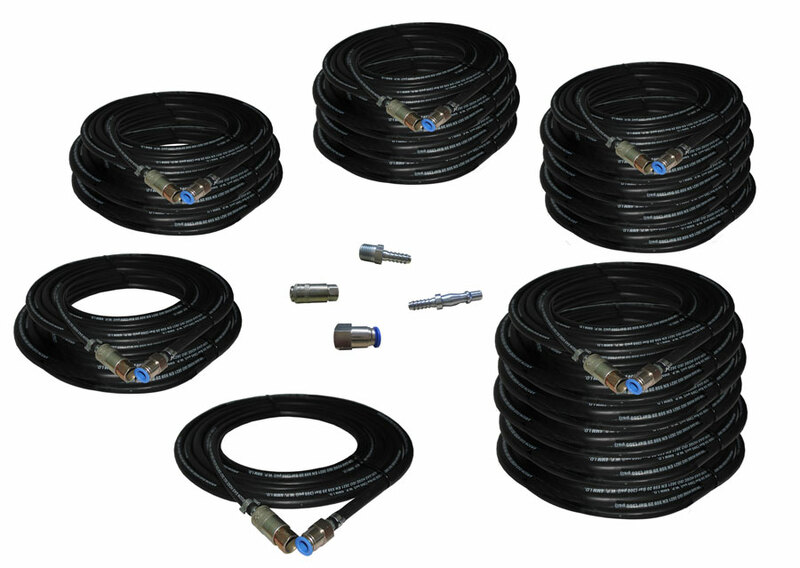 Conforms to British Standard BS EWN 599 Quality Standard. 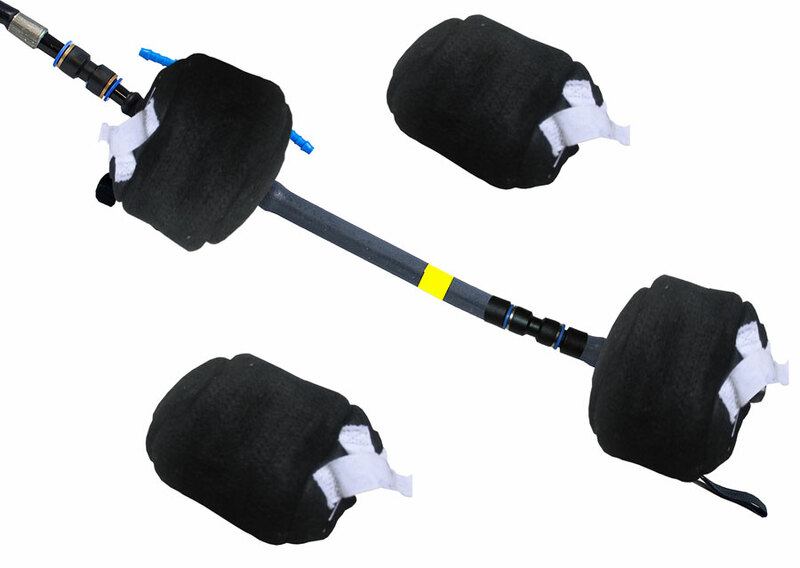 Regulates the gas flow during purging to prevent the Inflatable Pipe Purging Systems from over inflating. Fitted as standard to QuickPurge® and HotPurge®. 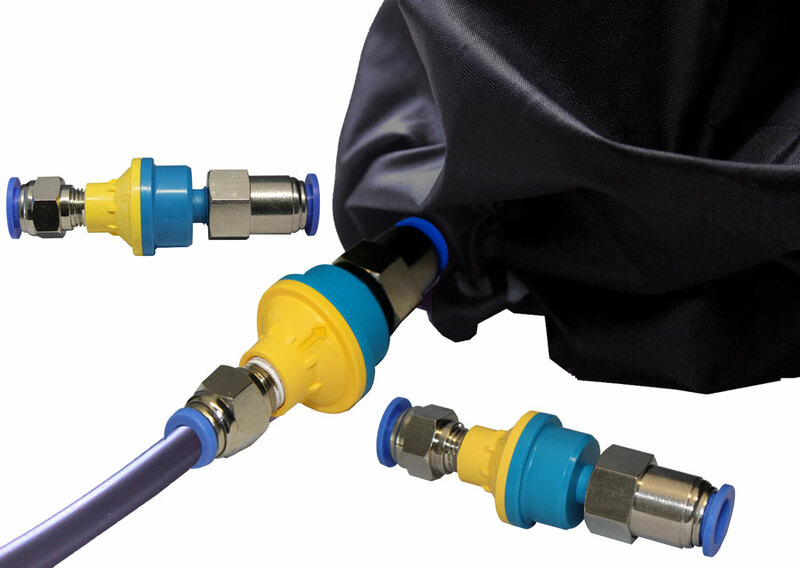 An accessory to be purchased separately for PurgElite® and PurgExtra® as well as for other Inflatable Tube and Pipe Purging Systems. They fit all system sizes (1 to 88”). Temperature endurance of up to 300ºC. From 1 to 24” (25 to 600 mm). Holes provided for the PurgElite® and PurgExtra® fittings, such as inlet, exhaust and crimped end. Two sets of Heat Covers are provided. Also available for Inflatable Stoppers.